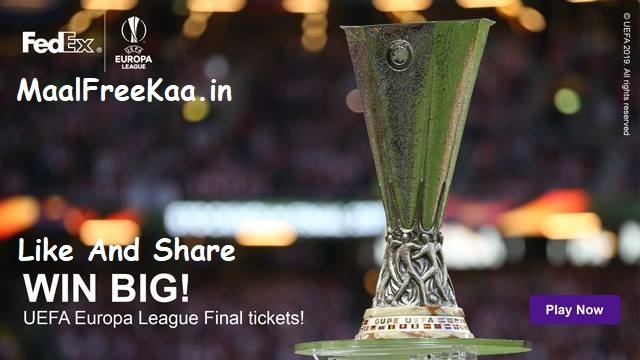 Stand a chance to win tickets to watch the UEFA Europa League Final LIVE in Baku on 29 May, 2019! Participants need to answer 4 questions (3 multiple choice questions and 1 tiebreaker question). Get your scoring boots on now and go for a goal! The 3 (three) multiple choice questions will be randomly selected from 20 (twenty) multiple choice questions. In the event of a draw FedEx will refer to the tie-breaker question and whose prediction was closest to the actual result. a) 1 (one) package to the UEFA Europa League Final on 29 May, 2019.
double room, depending on availability. Breakfast for x 2 people (29 & 30 May, 2019). guest on the 28 & 30 May, 2019.